Car hire provider Interrent, the low-cost arm of the Europcar empire, has careered into Which? Travel’s annual car hire survey with the lowest customer score the report has ever seen. Receiving a mere two stars for customer service and an overall score of just 31%, Interrent’s results are nothing short of a car crash. Fortunately, there’s better news at the top of the table where independent Canary Islands specialist, Auto Reisen, has received a record-breaking customer score of 96% and an impressive five-star rating for five out of six categories. Big-player Enterprise is another highly rated option, with a customer score of 78% and five-star customer service. Interrent has never featured in our survey before, but its entry has shunted perennial poor-performer Goldcar up the table from the bottom spot, where it had languished for four years. While Goldcar’s headline-grabbing rates may look tempting, once the extras are added, the survey found the average price to be a hefty £47 per day. And with a customer score of just 42%, it’s still advisable to steer clear of Goldcar. Interrent, on the other hand, is cheap at an average price of just £21 but as one reader put it ‘sadly I feel like I got what I paid for’. Several customers reported unexpected charges for damage that they say they hadn’t caused, or for cleaning that they say wasn’t required. Worse still, others reported charges that were taken from their credit card without explanation. Both Interrent and Goldcar are owned by Europcar – the car hire company that was investigated by Trading Standards for overcharging for repairs. Not only did Interrent and Goldcar receive the lowest customer scores, but they also had the highest number of customers reporting problems with their rental (see graph below). Half of those who had used Interrent told us they’d experienced an issue. The problems that customers encountered included filthy vehicles, lengthy queues and unexpected charges. Nearly a third of Goldcar’s customers also experienced an issue with their rental. Auto Reisen has topped our table for the fifth year in a row, and with an average price per day of just £16, it’s an absolute bargain. Particularly prized is the company’s all-inclusive price, with no excess and no unexpected charges. Enterprise was the only company operating worldwide to be awarded five stars for its customer service. It also received the full five stars for clarity of the final hire cost, and one reader told Which? that it ‘never tries to sell me any extras I don’t need or want’. Readers were also impressed by the free pick-up and drop-off service provided by Enterprise. The survey rates 14 car hire companies, including big names such as Avis, Europcar, Hertz and Sixt, and also rates six car hire brokers. The companies are rated against a range of criteria including customer service, value for money and clarity of pricing. Which? only recommends companies that undergo a further series of pricing transparency and policy checks. Find out which companies and brokers are Which? Recommended Providers. Which? 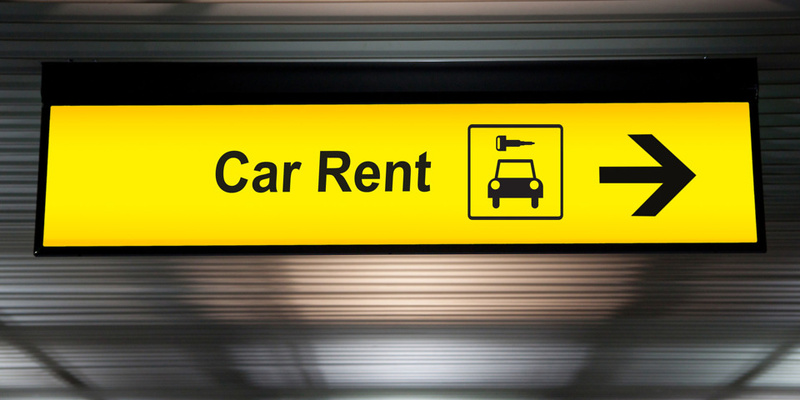 Travel’s editor, Rory Boland, said: ‘While we certainly don’t need another shoddy operator in an industry already plagued by unscrupulous practices, Interrent’s poor rating shows why it’s more important than ever to vet your car hire company.